The Real Techniques Expert Face Brush features ultra firm and broad bristles, ideal for cream and liquid foundations, for a perfectly buffed and airbrushed makeup look. 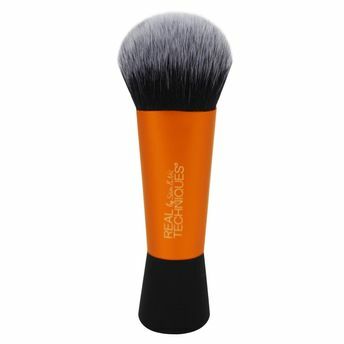 The mini expert face brush is a travel sized must have for buffed-to-perfection foundation. This brush has ultra plush, synthetic bristles. The brush is very long lasting.